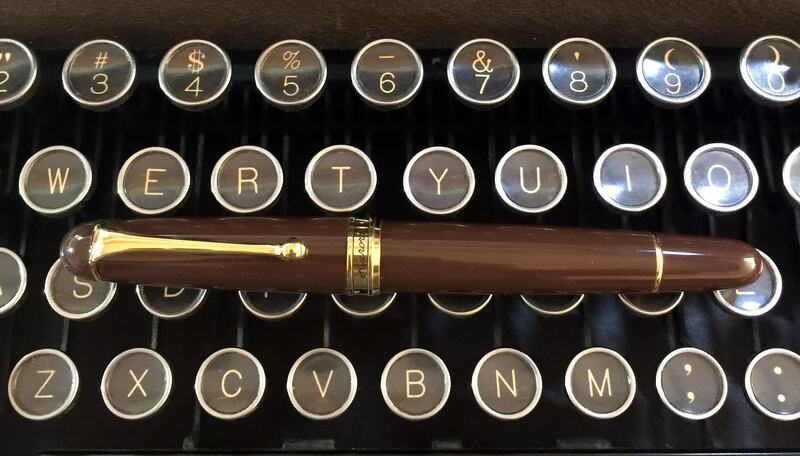 For our 70th Anniversary, we presented the Aurora 88 Anniversario fitted with a 14kt gold, vintage-style flexible nib. You may have seen our earlier versions of the Aurora 88 Flex pen in blue, red, yellow, and we are thrilled to show you our latest addition for June, a chocolatey brown resin! It houses our ebonite feed and we are proud to mention that while our nibs have been made in our factory in Turin, Italy since the 1900’s, this is our first flexible nib. This model sports the familiar cigar shape of our standard Aurora 88 offering with similar size and piston filling mechanism. The visible ink window allows the writer to monitor the level of ink when uncapped. This is a welcome feature of the pen since it is leaves little surprise to the user to the amount of ink left during a writing session. It can also be a nice distraction to see the ink inside sloshing back and forth inside the pen! One of the features that sets this model apart from the standard Aurora 88 is the longer tines on the nib which allows the writer to experience a bouncier and more flexible writing experience. The comfortable feel of pen to paper makes writing with this pen a joy. While our nib is different from the more traditional flexible nibbed pens, some takeaways with this nib are it writes well, has great wetness and gives a very smooth writing experience out of the box. Our pen is made for daily usage without having to worry about it catching on the paper. 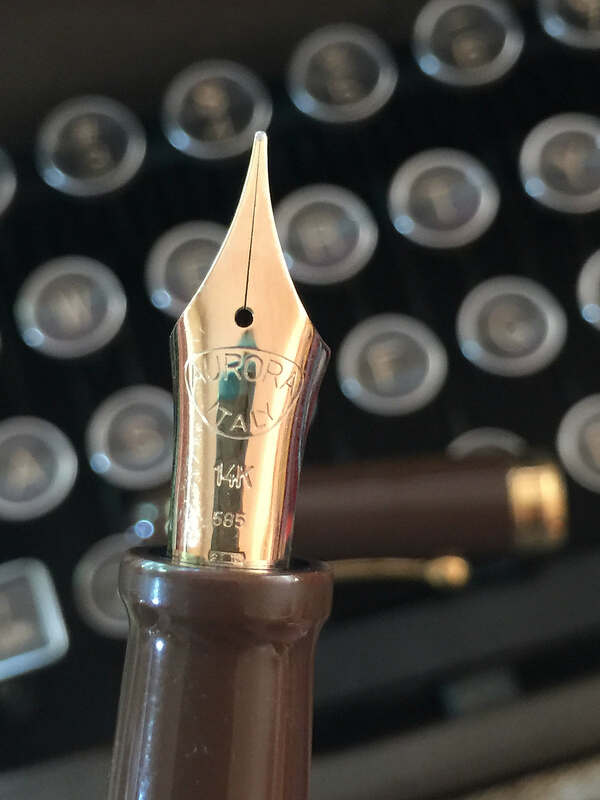 It can be used at regular speed and the writing can begin without the special instruction and slower speed needed for typical vintage flex pen or vintage flex dip pens. Applying a slight additional pressure on the downstrokes is all one needs for some line variation. It allows for nice, even, bouncy writing and does have enough variation to make it interesting! It’s exciting to see a resurgence of interest in flex writing and this is one of the factors that fueled our company to create a fresh writing experience for our users. 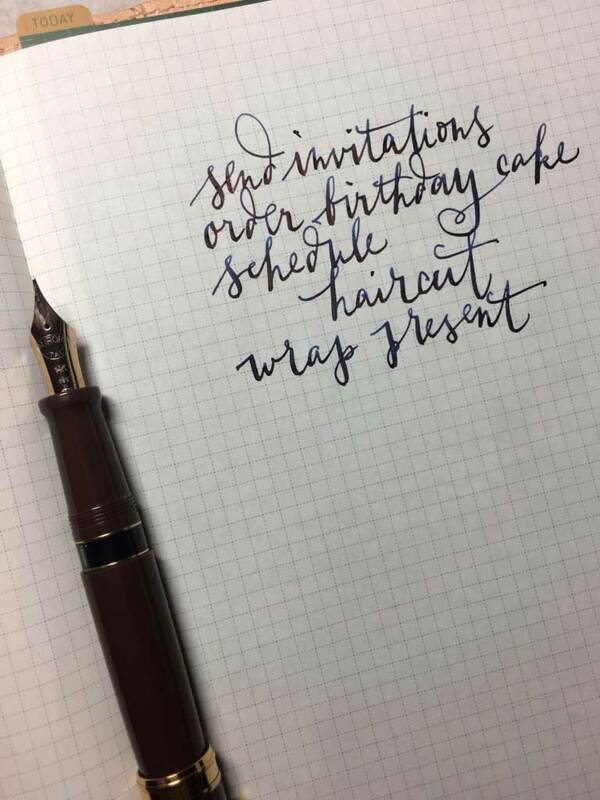 We’ve had great fun at our various Flex writing events and gatherings in NYC, Los Angeles, Baltimore, and various Pen Shows across the states. Aurora also hosted events in Spain, Italy, and The Netherlands, to name a few. Your friends may ask, “Why not just use a ballpoint or rollerball pen instead?” An effective way to explain is to demonstrate the variation of the line of a fountain pen vs. a rollerball. While non-flex fountain pens can be as hard as a standard rollerball pen, some line variation can do wonders for anyone’s writing and give it more character. Who wouldn’t want that?